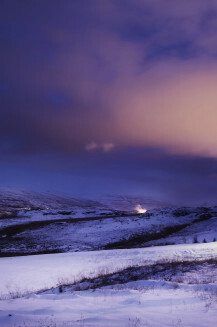 Watch the northern lights in Akureyri's night sky for an unforgettable winter experience. 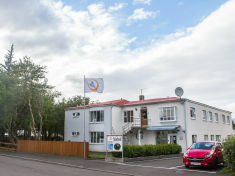 Akureyri, Iceland, is a buoyant and energetic city with spectacular panorama, an endless amount of daytime activities to pursue and a pulsing nightlife scene. Colourful wooden houses line the waterside and the streets are busy with people visiting shops, restaurants, bars and museums. The city’s stunning church, Akureyrarkirkja, is a prominent feature of the landscape and looks particularly magnificent when lit up at night. It’s worth going inside to see its 3,200-pipe organ and beautiful stained-glass windows. Head to Hafnarstræti in the town centre for some of Akureyri’s best shopping - buy some souvenirs then stop for coffee at a cosy café. 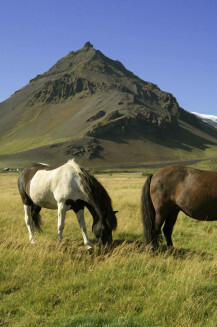 If you’re an outdoor enthusiast, Akureyri offers plenty for you. Head up Mount Hlídarfjall for some of the best skiing in Iceland or hike through the Kjarnaskógur forest. With everything easily reachable from the hostel, plus a free public transport system, you’ll never be short of things to do. Grímsey is the northernmost point of Iceland and is located on the Arctic Circle which crosses the island. 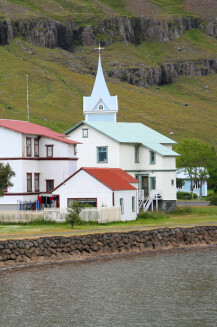 Grímsey is a part of the municipality of Akureyri. When it comes to nightlife, Akureyri offers something for everyone; bars, clubs, pubs, and more. 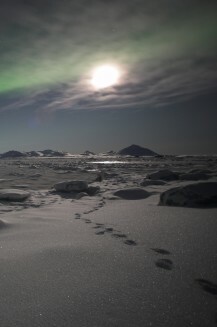 Icelanders start their parties late and party on until late in the morning. This is a whale watching tour that offers you more than just whale watching! You’ll also get 15 minutes of sea angling with a guaranteed fish which you can eat at the end, bird watching with a chance to see puffins, and a hot drink as well as Icelandic refreshments. 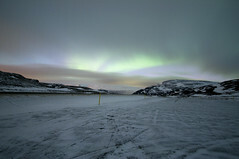 They can frequently be seen in Akureyri and surroundings from September through to April on clear and crisp nights. 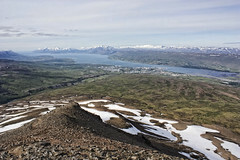 The mountain Súlur overlooks the town of Akureyri. There's a popular trail up to the peaks which takes about 5-6 hours to walk forth and back.